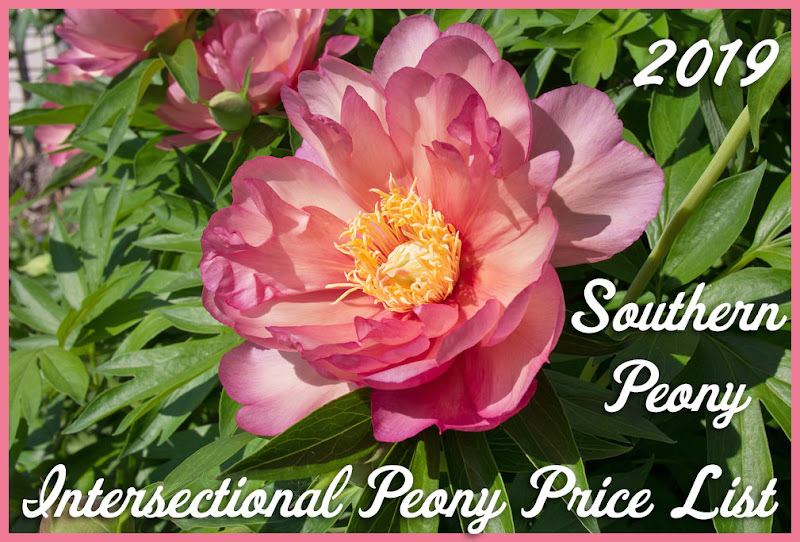 Southern Peony: 2016 Ice Storm Peonies Iced! I guess I was wrong about the 2016 First Snow of the Year (and Maybe Only???). Winter Storm Jonas hit us with quite a bit. It looks like snow in the pictures, but there's not really much snow. It's more like 1-2 inches of ice with a little snow mixed in. I guess that's why there's a big tree snapped in half in my back yard and our power was out for almost a day! I'm so thankful it's back on, and we can get warm again. The peonies look like they're taking whatever Jonas is dishing out. You can't really read their plant name tags anymore, but I think the ice will melt, and they will be okay. Most of my peonies are still tucked safely underground. 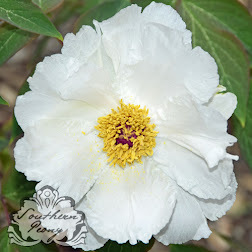 However, there are a few intersectional and tree peonies with above ground stems. I think they're going to make it, though. With the extra layer of ice, the peonies take on a shiny sheen, making them almost jewel like.